The Academy would like to thank all the test takers for giving their best in the 2015 Principals’ Test. As stipulated in the DM 11, s.2016, passers of the 2015 Principals’ Test must have a total raw score of at least 140 points AND must meet the 68% cut-off score in ALL 7 NCBSSH Domains. 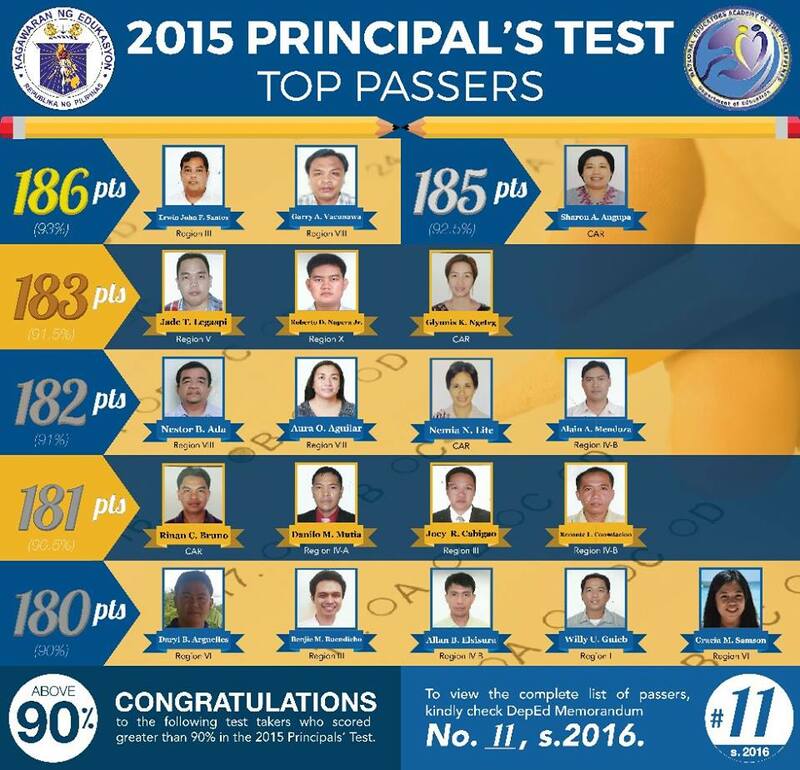 2,195 out of 18,754 test takers (11.82%) met the criteria. Congratulations to the following passers for obtaining a score more than 180 points or 90%. To view the complete list of passers, kindly check DepEd Memorandum No. 11, s.2016.